Jersey skipper Peter Gough has said he's relishing the prospect of playing in front of a home crowd at the European T20 Championships. They take on Norway first in the six-team tournament, with the winners going on to the global qualifying tournament for the 2016 T20 World Cup. Jersey coach Neil MacRae has already said he feels his side are good enough to win the tournament. "The opportunity to play in front of a home crowd is fantastic," said Gough. 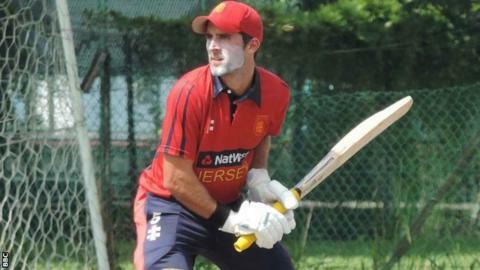 "We love playing 20-over cricket and want to enjoy every minute, be positive and represent Jersey with pride. We go in to every tournament wanting and believing we can win every game." Jersey reached the semi-finals of the tournament in 2013, but the format has changed with a round-robin system with each side facing one another once. They have played a number of warm-up games, including matches against Netherlands 'A' and Kent.